Easter egg hunts. Hide and seek. Marco Polo. Boiled eggs with toast soldiers. Tutus. Mum making dinner. Trampolining. Seriously. We can’t keep letting kids have all the fun. Recently my 8-Week Challenge girls and I decided to make a stand and take back what is rightfully ours, with a trip to Skyzone in Alexandria. 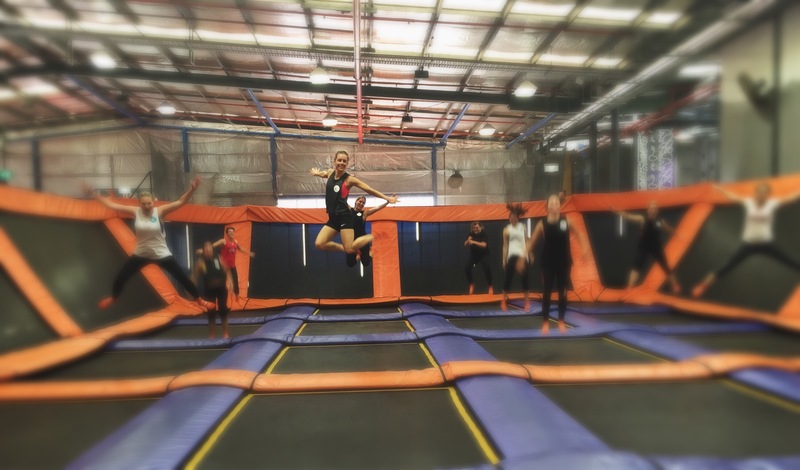 You think you know trampolining? You know nothing until you’ve been to this place….